The online publication teachers.org has ranked California State University, Northridge’s Educational Leadership and Policy Studies program (ELPS) the No. 12 educational leadership degree program in the United States. The website focused on degree programs and certifications for careers in the educational field. 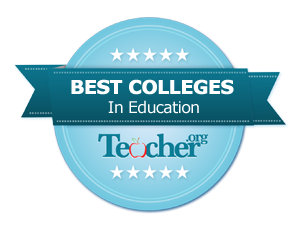 From more than 560 qualifying colleges, teachers.org generated a Top 20 list, identifying the most valuable educational programs in the nation based on program size, graduation rates, affordability, default rates, accessibility and online options. “External recognition of our efforts to prepare world-class educational leaders is long overdue, given the long-term commitment CSUN has made to improve the greater Los Angeles community,” said Michael Spagna, dean of CSUN’s Michael D. Eisner College of Education. CSUN’s ELPS program connects teaching theories to best practices and supports students in gaining leadership skills, working in diverse environments and building collaborative partnerships. The program offers full- and part-time options, as well as a two-year distance learning format.